Although iOS 10 and Android Nougat are not launched yet but both of them have released their beta builds for long enough. Apple iOS 10 will go live with the launch of iPhone 7 and Android Nougat will go live with the launch of new Nexus. 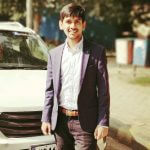 It has been noticed that both the operating system have matured over time, both iOS and Android have borrowed features from one another which has made both the operating systems look very similar. Let’s compare both the operating systems and see what they have to offer. 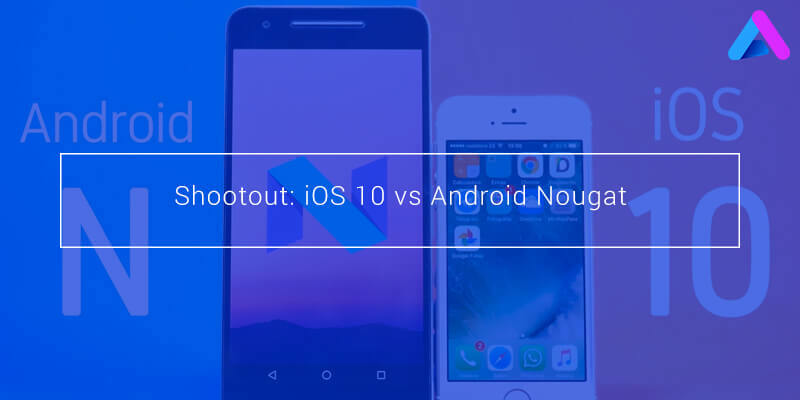 Both the OS’s looked similar from its predecessor like iOS 10 looks similar to iOS 9 and Android N looks similar to Android M. Neither of the two have reinvented their operating system, rather they have tweaked it for a better user experience. iOS brings the wake up feature, this allows your phone to wake up when you lift the phone from the flat surface and screen will wake up and you will have to press the home button to skip past the lock screen. This feature will help you to glance at the notifications and also solve the Touch ID issue which was so effective and fast that people tend to miss out the notifications. Whereas, Android N brings split screen screen feature where you can open two apps on the same screen simultaneously. This feature will take multitasking to another level. The notification for Android N have been redesigned that they are easy to read and also can be grouped together based on the app. You can now reply from the notification without opening the app. The notification design of Android N looks very similar to iOS notifications. On the other hand iOS allows users to interact with notification without the need to unlock the phone. The iOS 10 Photo app now uses machine to identify place, people and object inside your pictures and helps you to sort them easily. The app creates an automatic slideshow and videos of your best pictures. This feature you have already seen in the Google Photos. The updated music app on iOS have seen a major improvement. The interface has become easier to navigate. This is primarily to shift people towards Apple Music. Google Play Music is built around for both streaming and for downloaded songs. Apple has opened Siri voice assistant to third party developers. Whereas Google now has not yet been opened for third party developers. While both Apple and Google have taken taken different paths to where they are right now. Apple is slowly but surely coming close to Google in terms of widgets and third party app integration, while Google is reportedly implementing app icon shortcuts and app notifications groups like Apple. We still can’t say which OS is better until we get our hands on the final version. But there is a chance that they will be more or less same in terms of functionality, let’s hope for the best. How did you find the shootout? Let us know in the comments section below.